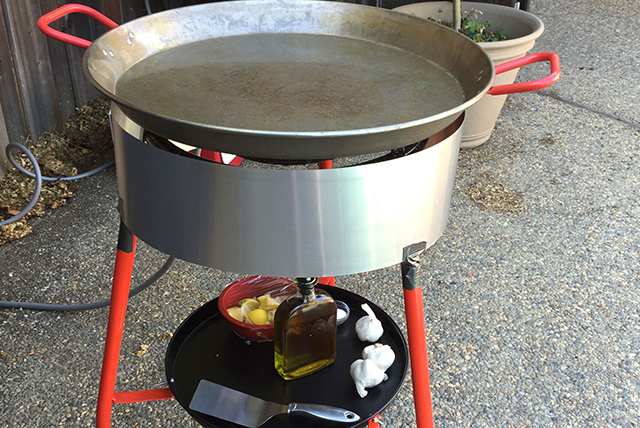 I have been making paella using our propane grill and tomorrow will be the first time I’m using a paella burner. On the grill, my recipe calls for me to cover(put grill top down) for cooking during various steps.. 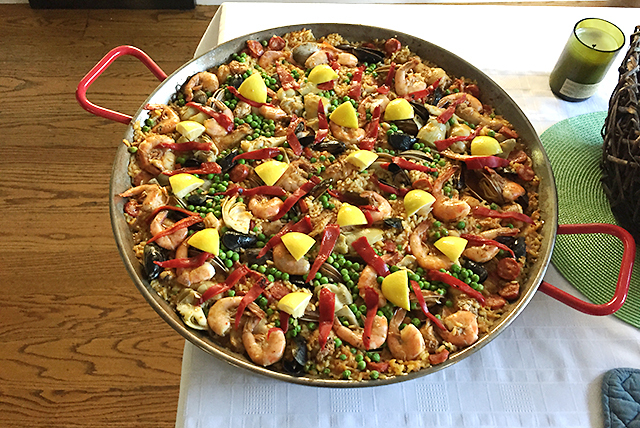 When using a paella burner, should I be covering it with say, aluminum foil, while it cooks or leave it open air? We always leave it open to the air. We let rest 10 minutes uncovered when done and it is plenty hot when serving. Have fun. Thank you so much for your help Joe! What size flashing did you use? Is it possible to see a photo of the back side? I used a six-inch wide flashing. I will send you a photo to your email address. I have a burner and need to make the windshield also. Could you please post a detail list of needed materials and how to make it or attach it to the burner. 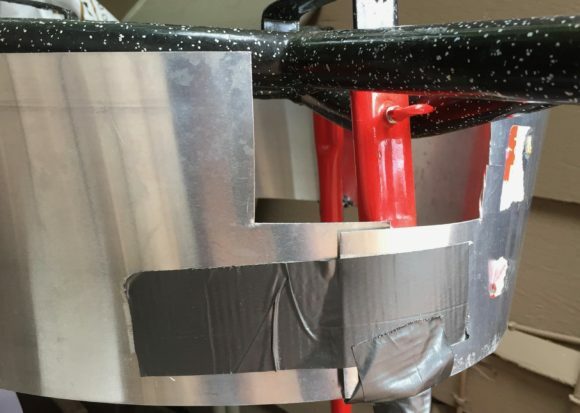 I used only two materials: Six-inch flashing I purchased at Home Depot and sheet metal tape. I also used a pair of tin snips to cut out sheet metal to fit around the burner arms. It is nothing fancy but it works. I will post a photo in the above post.